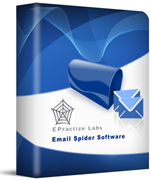 Email Spider is professional all-in-one email extractor software. It is a powerful utility designed to extract email addresses from various sources: local files, Outlook, websites, POP3 or IMAP accounts, online subscription manager, etc. It is a great tool for creating your customer contact list using your mailbox data.